BAT - BLOG : BATMAN TOYS and COLLECTIBLES: CHOCOOLATE Retail Stores Honoring 75 YEARS OF BATMAN with T-Shirts and More! CHOCOOLATE Retail Stores Honoring 75 YEARS OF BATMAN with T-Shirts and More! 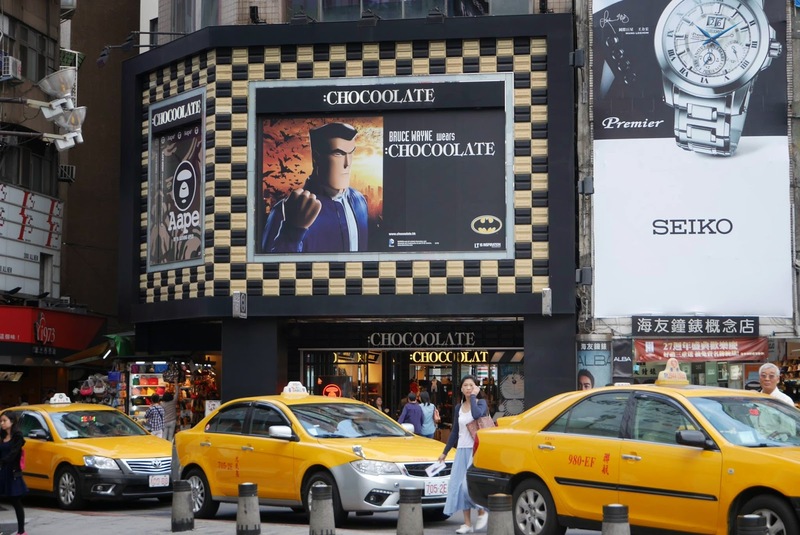 Shown up above is a photo from our friend Stone Wong who was recently in Taipei (Taiwan) and he saw this HUGE "Bruce Wayne / Batman" advertising banner displayed at a CHOCOOLATE Retail Store location. 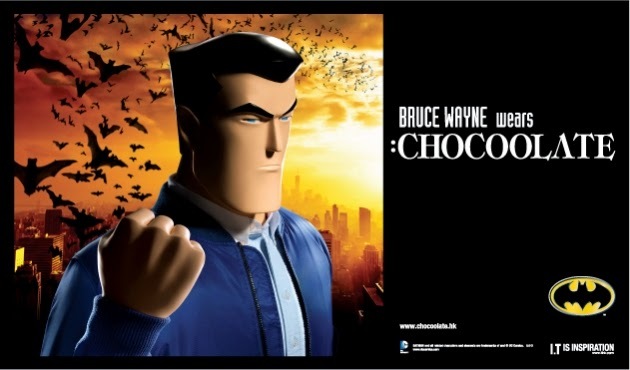 It features a graphic of Bruce Wayne from the new CGI cartoon. It's all about hyping the merchandise for their "Batman 75th Anniversary" Collection! Chocoolate is a Hong Kong based company and they have many locations in Hong Kong, China, Taiwan, Macau, Singapore and Canada. Yes, they have one Canadian outlet, that's kinda weird! 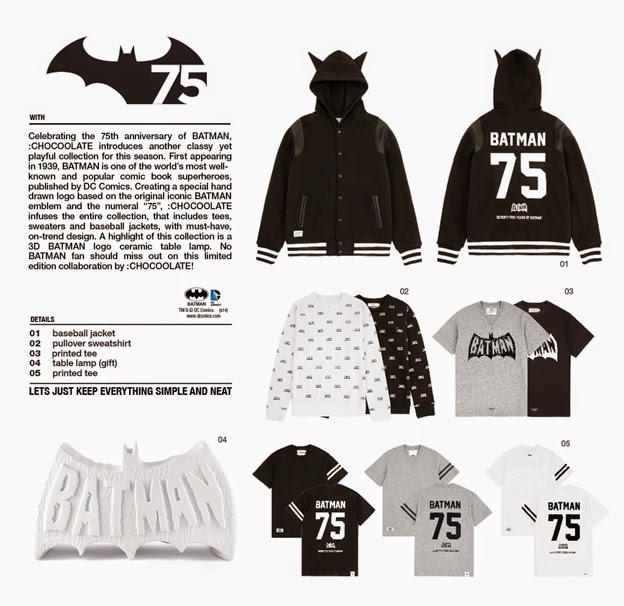 Researching their website, I found out that they have a nice assortment of "75 Years of BATMAN" T-Shirts, Hoodies, Baseball Jerseys, Sweatshirts and even a Paper-Table Lamp! Down below are some pics found at their site. To visit, just CLICK HERE!